The final fire size has been measured at 9,235 acres by gps flight by air assets. Crews have worked the critical portions of the fire securing the perimeter. 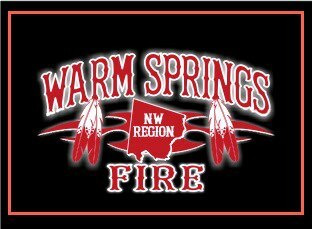 One area of concern has been the northwest portion of the fire perimeter where the fire crossed the Warm Springs River. That area of concern has been worked extensively over the past several days and is currently being patrolled and hot spots extinguished. Scattered interior heating has been addressed over the last two days and as a result, containment will remain at 80%. The operational plan for today is to continue securing fire line perimeter with special emphasis on the northwest portion of the fire. A plan for releasing remaining crews and equipment will be implemented Sunday morning. A total of 75 personnel and 3 engines with 6 support personnel remain. The Webster Flat road near the Wolf Point subdivision and Hwy 8 east of the Kah-Nee-Ta Resort are still partially closed to the general public.